Madhavi Sankholkar, app developer and founder of Learn With Fun Apps, holds an ipad featuring one of her most popular apps -- iLuv Drawing Animals -- at the BlogHer Entrepreneurs '12 event. I received an invitation to attend the BlogHer Entrepreneurs event that took place last week – it was incredible! Entrepreneur, intrapreneur or a just a bold woman in tech? BlogHer had something for everyone with fantastic insights and advice dispensed by a rock-star line-up of speakers and mentors. Here are just ten tidbits from tech superwomen (and a tech superman) that were shared during the event — in 140 characters or less. 1. Women who tend to found companies listen to their own voice. Deborah Jackson (@dbdj1007), founder of Women Innovate Mobile (WIM), CEO and founder of JumpThru. 2. Don’t be tentative, be presumptive about the outcome. Brad Feld (@bfeld), managing director of Foundry Group. 3. Tell your story in a way that connects and listen first. 4. Passion is a game changer, a huge advantage. Nelly Yusupova (@digitalwoman) CTO of Webgrrls International. 5. Cultivate a deliberate openness. Alena Gribskov (@alenarg) communications and program manager at Yale Entrepreneurial Institute. 6. Everything you do is a brand extension; the grace you extend is critical. Lisa Stone (@lisastone), BlogHer co-founder and CEO, sharing insight from her brother. 7. What you wear matters; it’s the canvas for your voice. Amy Chang, global head of product, Google Analytics. 8. Don’t be afraid of the “no.” It’s just a starting point for the conversation. Shelley Taniguchi-Sabol, owner and consultant at PSWE. 9. Do right by yourself and you will be a better business owner, daughter, wife, sister and friend. Kathryn Finney (@kathrynfinney), founder and CEO of TBF Group, LLC. 10. “Always have a plan B” is how I used to operate, following my passion required abandoning that philosophy. Jory Des Jardins (@jorydj), BlogHer co-founder and president of strategic alliances. Find more great insights by following the hashtag — #BlogHerEnt12. Did you attend? What was your favorite take-away? Share below! Tagged 10 tweetable insights from tech superwomen at BlogHer Entrepreneurs 12, Alena Gribskov, Amy Chang, blogger, BlogHer, BlogHer Entrepreneurs, BlogHer Entrepreneurs 12, Brad Feld, Deborah Jackson, Entrepreneur, Founder, Foundry Group, Google Analytics., intrapreneur, Jory Des Jardins, Lisa Stone, Mentor, Nelly Yusupova, Shelley Taniguchi-Sabol, Tech Start-up, Tech. 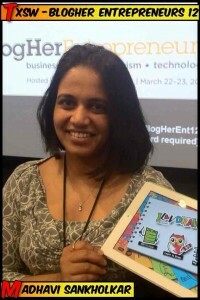 Tech By Superwomen, Webgrrls International, woman in tech, women, Yale Entrepreneurial Institute. Thanks Cathyn for sharing these wonderful insights. One of the most defining moments in my career was when I shifted my mindset away from ‘looking for opportunities’ and focused on my energy on ‘creating opportunities’. BTW: Great panel discussion at SXSW – very inspiring. Couldn’t be there live but spent a well spent hour this weekend listening to audio.